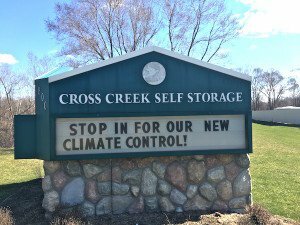 Welcome to the Cross Creek Self Storage location in Portage, Michigan. We offer storage units to suit every storage need—whether you’re a homeowner, renter, business owner, or business manager. Our storage units start at 5X10, and increase up to 10X30 size units. We now offer climate and humidity controlled buildings to accommodate all types of items in a safe environment. Whether you have sentimental antiques or new furniture pieces, you can rest assured they’ll be kept in the protective atmosphere they need. And if you would rather keep your storage unit on your property, we gladly offer portable units. We will move them and drop them off at your location. You can rent our portable storage containers for as long as you want. And when you’re ready for us to take it away, a phone call is all that’s needed. We love being able to provide our customers with high quality service at reasonable prices. Our friendly on-site staff is dedicated to finding you exactly what you need, and making the entire process an exceptional experience. 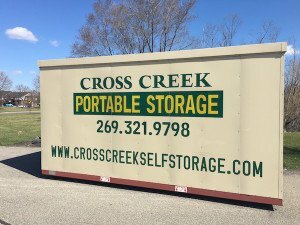 Give us a call at Cross Creek Self Storage in Portage today! 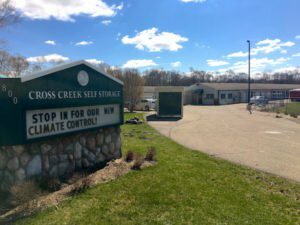 At Cross Creek Self Storage we offer several types of self storage units in Portage. We try to accommodate small storage as well as large storage needs including seasonal storage for recreation vehicles, watercraft and much more. We strive to make our Portage self storage facility among the very best in the area with extra features that give our renters peace of mind that their belongings are safe and sound with easy access whenever they want. *Additional cost will apply for milage & fuel. Contact us directly for more information. Checkout Our Specials in Portage, MI! Renting a storage unit can be a bigger task than you might first think, specially if you are unfamiliar with all of the sizes, options and features. Here are a few basic questions to ask yourself as you begin looking for a local storage facility. Evaluate how long you will need extra storage? Many facilities offer discounts for long-term storage rentals, but often times you can find specials on short-term or seasonal rental units. Check our Specials or follow us on Facebook for new deals and discounts on Portage storage units. To save money when renting a self storage unit in Portage, make sure to only rent the size you need. We offer a Storage Size Guide to help you estimate your need. Also, keep in mind for larger items like cars, boats and campers we offer several different size units with large doors and even an outdoor storage option. How often will you require access to your Portage storage units. For some people, accessing once per year is fine, while others like to access several times per month at a time that fits their schedule… even if it is 2am. 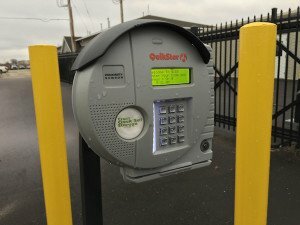 Our Self Storage in Portage has a keypad entry gate allowing access 24/7. Are the items you plan to store sensitive to heat, cold or humidity? If so, then you will want to upgrade to our climate controlled storage units in Portage. If you’re not sure if you need this feature, we suggest a climate controlled unit if you plan to store any of the following: clothes, leathers, furs, photographs, film, paintings, musical instruments, antiques,wine, paper documents, DVDs, CDs and electronics. 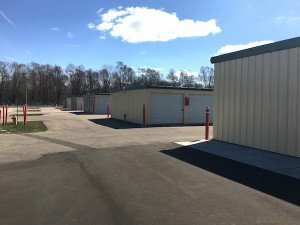 Most Portage Storage Units have some level of security, but if this is as important to you as it is to us, then make sure to check for the following: Fenced in property, Alarm system, external lighting, limited access gate, video surveillance, on-site staff patrols, local police presence. At Cross Creek Self Storage in Portage, we provide all of these. Depending on your situation, you may consider mobile storage. If you do, a container is dropped off at your location and then picked up after you’ve complete packing it. The container is then stored at our Portage Self Storage facility, or can be delivered to a new location for unpacking. The cost of mobile storage is comparable to unit storage. Keep this in mind; if you need regular access to the items inside your mobile storage unit, this may not be the most optimal solution for you. 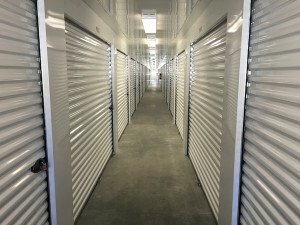 Feel free to contact us with any questions concerning this unique method of self-storage. Everyone has a little different need, and we are proud to offer a wide range of storage units and services. If you have a very unique or specific need, please feel free to contact us and we will help you find the best solution.